Domestication of the wild potato began around 8,000 BCE in the Andean mountain region of South America. Researchers estimate that potatoes have been cultivated by the Indians living in these areas for between 4,000 and 7,000 years. Unlike many other foods, potatoes were able to grow at the high altitudes typical of this area and therefore became a staple food for these hardy people. Many varieties were cultivated by native peoples, and the potato quickly became a staple food, along with corn. The potato belongs to the Solanaceae or nightshade family whose other members include tomatoes, eggplants, peppers, and tomatillos. 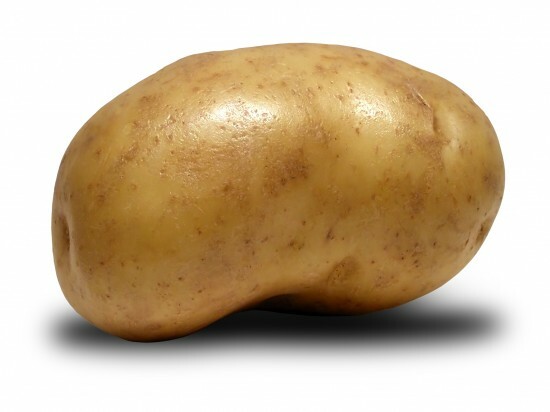 Potatoes are the swollen portion of the underground stem which is called a tuber and is designed to provide food for the green leafy portion of the plant. 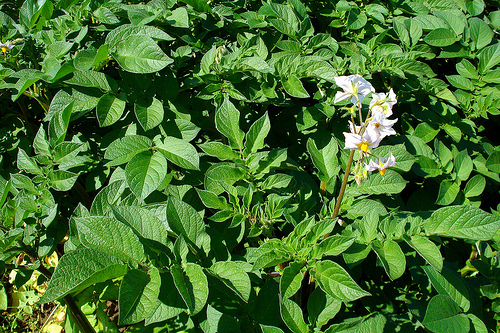 If allowed to flower and fruit, the potato plant will bear an inedible fruit resembling a tomato. There are close to 4000 different varieties of potato, about about 100 varieties of which are edible potatoes. They range in size, shape, color, starch content and flavor. 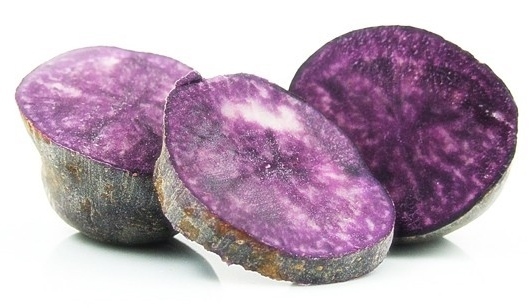 In general, varieties are categorized into a few main groups: Russets, Reds, Whites, Golds and Purples. Within these groups they are also classified as either mature potatoes or new potatoes. The best way to store potatoes is in a dark, dry place between 45F to 50F (between 7-10C) as higher temperatures, even room temperature, will cause the potatoes to sprout and dehydrate prematurely. 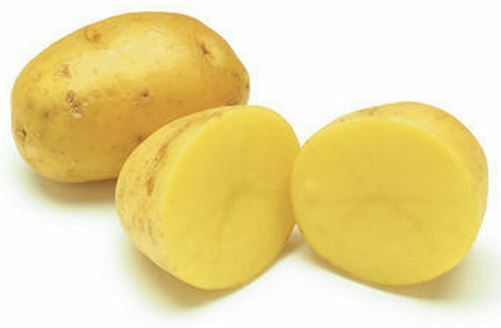 Storing them in a cool, dark, dry place is important because while potatoes are often conveniently packaged in a plastic bag, any moisture trapped in the bag could cause the potatoes to rot and exposure to sunlight can cause the development of the toxic alkaloid solanine to form. Potatoes should also not be stored in the refrigerator, as their starch content will turn to sugar giving them an undesirable taste. In addition, do not store potatoes near onions, as the gases that they each emit will cause the degradation of one another. Potatoes should be cleaned and cut right before cooking in order to avoid the discoloration that occurs with exposure to air. If you cannot cook them immediately after cutting, place them in a bowl of cold water to which you have added a little bit of lemon juice, as this will prevent their flesh from darkening and will also help to maintain their shape during cooking. Potatoes are the number one vegetable crop in the world. They are available all year round and are harvested somewhere in the world every month of the year. Humans can survive healthily on a diet of potatoes supplemented only with milk or butter, which contain the two vitamins not provided by potatoes (vitamins A and D).